Dr. Lydia is committed to deliver the highest standard of comprehensive dental care. She believes it is her duty to exceed expectations by offering her expertise and genuine compassion to every patient. Her skill, dedication, and attention to detail are a product of her absolute desire to improve her patients lives and promote overall wellness. Earned her Bachelor of Science Degree at Jacksonville State University. Attended and graduated Dental School at the University of Michigan School of Dentistry. She has completed a 12 month Advanced Education General Practice residency in the United States Military, as well as serving 3 years as a Dental Officer in the United States Army. Has been successfully practicing dentistry for over 14 years. Dr. Muccioli has advanced training in the areas of endodontics, periodontics, prosthodontics and surgery. 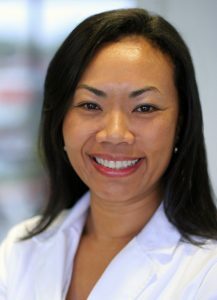 She is a member of the American Dental Association, Georgia Dental Association, and the Academy of General Dentistry. In her time off, Dr. Lydia Muccioli enjoys taking spin classes and perfecting her culinary skill set.